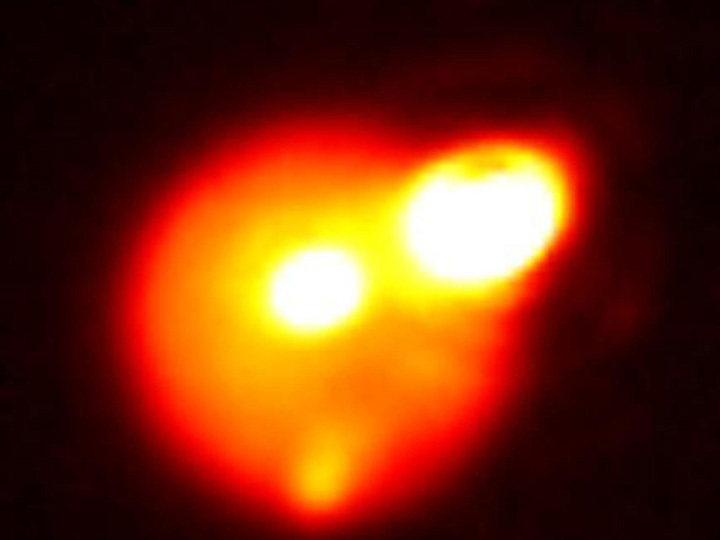 Three enormous volcanic eruptions on Jupiter’s moon Io were witnessed by scientists last year using the Keck II and Gemini telescopes in Hawaii. The only other confirmed volcanically-active world in the solar system besides Earth, Io is constantly being resurfaced by eruptions and lava flows, due to internal heat and pressures caused by tidal stresses as a result of its elliptical orbit around Jupiter. These recent outbursts were exceptionally powerful, sending huge amounts of incredibly hot molten material out into space and likely coating a large area on its surface as well. Io, the innermost of Jupiter’s four large “Galilean” moons, is about 2,300 miles across (3,630 kilometers). Aside from Earth, it is the only known place in the solar system with volcanoes erupting extremely hot lava like that on Earth. Because of Io’s low gravity, large eruptions produce an umbrella of debris that rises high into space. All three events, including the largest, most powerful eruption of the trio on Aug. 29, 2013, were likely characterized by “curtains of fire” as lava blasted out of fissures perhaps several miles long. The eruptions on Io are likely similar to those that shaped the surfaces of inner solar system planets such as Earth and Venus in their youth. 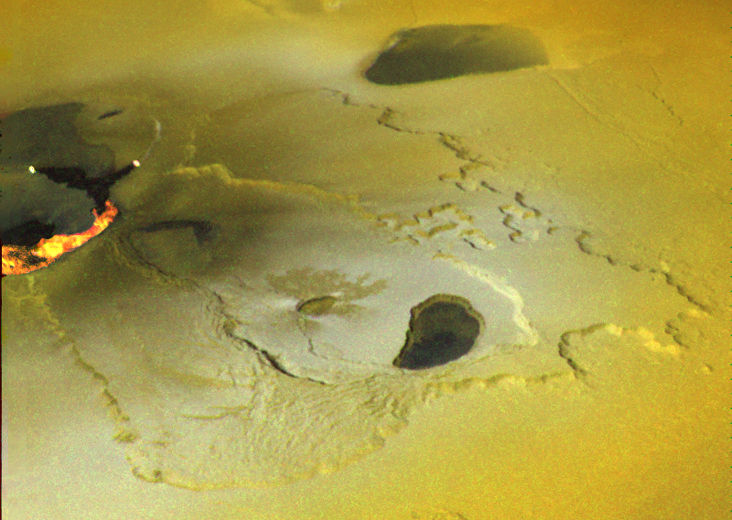 “We are using Io as a volcanic laboratory, where we can look back into the past of the terrestrial planets to get a better understanding of how these large eruptions took place, and how fast and how long they lasted,” said Davies. Next Post Get Ready for Rosetta’s Rendezvous with a Comet!